Consultants in event management, backline equipment rental, acoustics, audio & visual technologies. We specialize in audio/visual services to hotels and facilities, sound, lighting and staging. Let us make your concert, conference or special event a phenomenal one. 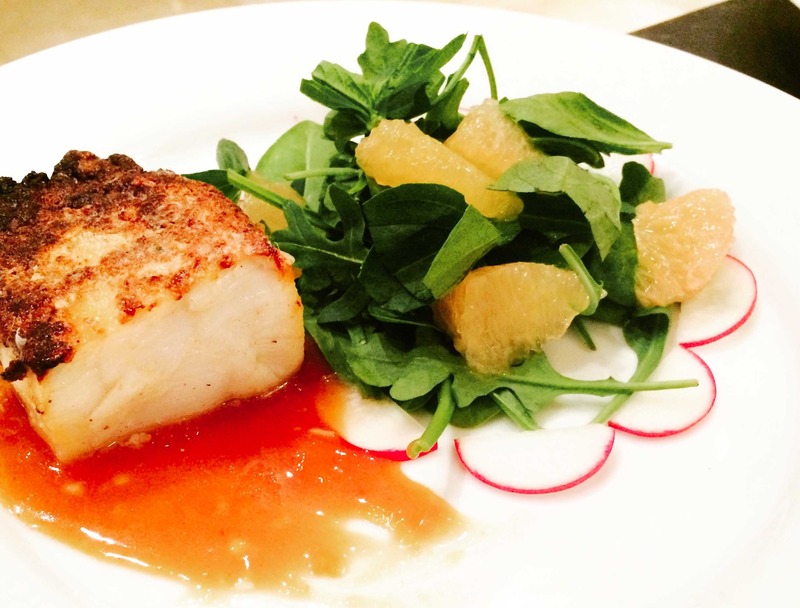 We will organize your dinner reservations, offer suggestions, spa appointments that fit your desires, Water sports or activities, private catering, Provisioning, Dive Instruction, dive trips, Boat and fishing Charters that can make everyone happy! You name it and we will make it happen! Let our wedding professionals take care of your dream wedding- Our wedding packages offers couples a comprehensive range of services and products for the creation of dream weddings of any size. Our wedding coordinators will take the time to assist you with all the details of your special day such as flowers, decorations, cake, rehearsal dinner and wedding reception. Media production company specializing is video, audio production, dj services, web design, photography & sound engineering. While planning your trip, you just might be thinking of using a party planner or trying to discover who can provide professional quality catering services in the Islands. Allow us to introduce ourselves. We are Caicos Catering. Specializing in Catering and Weddings in the Turks and Caicos for over 10 years! We are the Turks and Caicos Catering and Wedding specialist on Providenciales, serving the entire chain of Islands from West Caicos to Grand Turk. Specializing in LARGE groups, Weddings, Reunions, Business Conferences, Beach BBQ’s, Beach Bon Fires and just about anything that you can think of to compliment the ultimate Caribbean vacation! Carib Concierge Service helps clients to save more time during their vacation. We provide services such as bookings, excursions, rentals, shopping and events. Enjoy your stay in Turks and Caicos with Carib Concierge Service! Destination Turks and Caicos Ltd. is a full-service destination management company, providing unparalleled services to our clients. Serving the islands of Providenciales and, cruise ship weddings in Grand Turk respectively. Our services includes: Destination Weddings; Events and Vacation Planning; Hotel and Private Villa bookings; Beach Dinners; Island Tours and Private Island Getaways; Ground Transportation; Immigration and Customs Services. Our certified Wedding and Event Specialist will ensure that your dream becomes a fairytale experience by managing every aspect of your event or special day. When it comes to deciding on a DJ for your wedding, sometimes it can feel just as important as choosing the right groom! A wedding DJ can make or break your perfect day and we understand this better than most. To us, it’s not just about the music. It’s about creating the right vibe for each individual couple, about filling the day with a soundtrack that characterizes you; one that will melt hearts, raise glasses and even get your granny on the dancefloor! Island Arrangements is a boutique travel and destination management company providing everything that you need to have an unforgettable vacation in the Turks and Caicos Islands! From corporate events and sales incentive trips, to destination weddings, amazing honeymoons and family holidays, we make your dreams of a splendid Caribbean escape a reality! Our professional team has over 10 years’ experience in making memorable getaways for every occasion. We pride ourselves in our ability to create the ultimate authentic Turks and Caicos experience. Contact our team of Destination Specialists to begin planning your exclusive island event, wedding or escape. Island Harmony is a full service wedding and event planning company. We will handle every detail of your wedding or event, no matter how big or small, so you can relax and enjoy your special day! Island Harmony takes pride in providing excellence in customer service for every client that we service and every wedding that we plan. It is our goal to make your day the most perfect, memorable and relaxing day of your life! Complete travel and tour planning. Private parties, weddings, functions. A full service destination and event management firm, specializing in wedding and honeymoons. We assist you with information, planning suggestions and personalized programs to find the accommodation that is perfect for you, the activities you are looking for, the restaurant that serves your favorite food, excursions, sailing and diving that will make your dreams come true. We organize family events, wedding, honeymoons, island hopping to North Caicos, Middle Caicos, Salt Cay and Grand Turk, eco tours in the Princess Alexandria National Park, and dive packages to Northwest Point or French Cay. 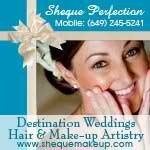 Sheque Perfection is your premier Turks & Caicos destination events beauty provider. We provide hair and makeup services to brides and celebrities visiting our islands. We offer concierge services to your hotel or villa. We work closely with resorts, wedding planners and photographers to make your getting ready experience fun and efficient. We at Studio649 strive to offer nothing short of top notch hair cutting, styling, coloring, spa and beauty services with the highest level of customer service from the moment a client enters our doors, so that they feel like guests in our home. We accomplish this by positively taking complete pride and passion in the work we create. We promise to educate ourselves on the latest techniques and trends in the industry. At all time, our salon environment must be professional, and friendly for our clients and employees to enjoy. Our customer service will use the most qualified people, technology, procedures, and management to ensure clients leave satisfied beyond their expectations. Our clients are always first! Want to visit the Beautiful By Nature Turks & Caicos islands. Well let Turks & Caicos To Go do the work for you. We gather Tourist Information and can email it or send it via Post, FedEx or Dhl fully customized with all the information that you need. We will include Excursion Brochures, Maps, Hotel Brochures and any other information that you may need or request, so as to make your decision making much easier. Tropical Destination Management is a full service company offering a variety of services for both individuals and groups wishing to book a vacation, plan a wedding or co-ordinate a meeting in the Turks and Caicos Islands. We are a one stop shop for all of your destination management needs.